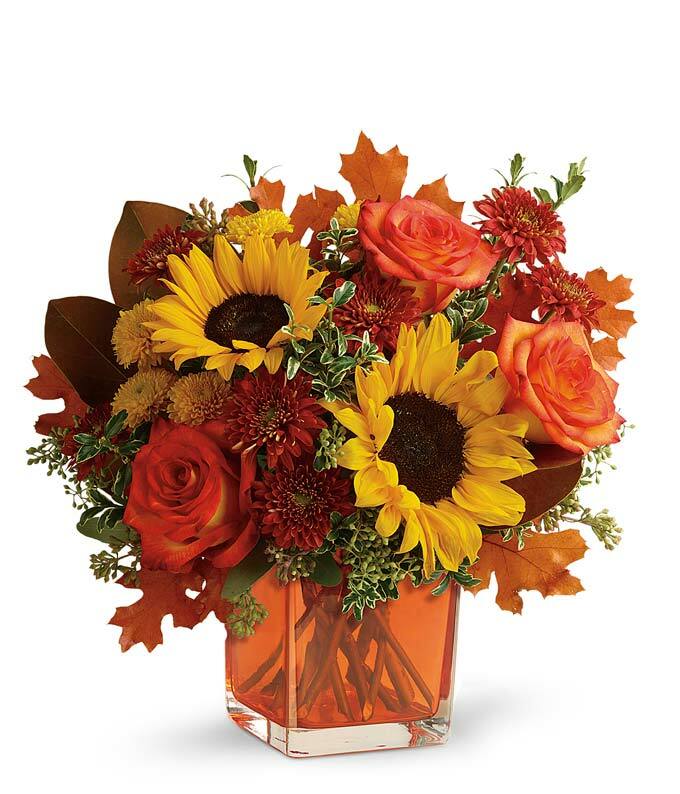 Send this incredibly appealing autumn arrangement to a special someone in your life! Welcome the fall season with bright classic colors and warmth. Perfect for any day of the week or a special seasonal holiday, this floral arrangement is sure to bring a smile to their face!